We’ve had a bumper crop of tomatoes this year and I wanted a way to make use of these and make something nice for Christmas. I’ve never really liked some of the old chutney recipes so I thought I’d develop my own so I can enjoy it with some cold turkey on Boxing Day. There’s nothing like this in the shops and it’s really special. This recipe will make enough to fill two small 250g jam jars, to make more just double the quantities. You will need two good, clean jam jars. These need be sterilized so that there is no bacteria that could turn the contents bad while in storage. There are two ways of doing this. You can give the jars and their lids a good wash in the dishwasher just before you start work on this recipe or you can put the jars in a large pan of water and bring them to a gentle boil for 5 minutes. Either way to make sure that the jars are dry and don’t get mold spores settle on them while your working, I place them on a baking tray in a warm oven and only take them out when I’m ready to fill with chutney. Chillies are not just hot to eat – you need to take great care when cutting and cooking them. They can burn your skin and if you touch your eyes after chopping them you’ll be in agony. You’ll only make this mistake once! 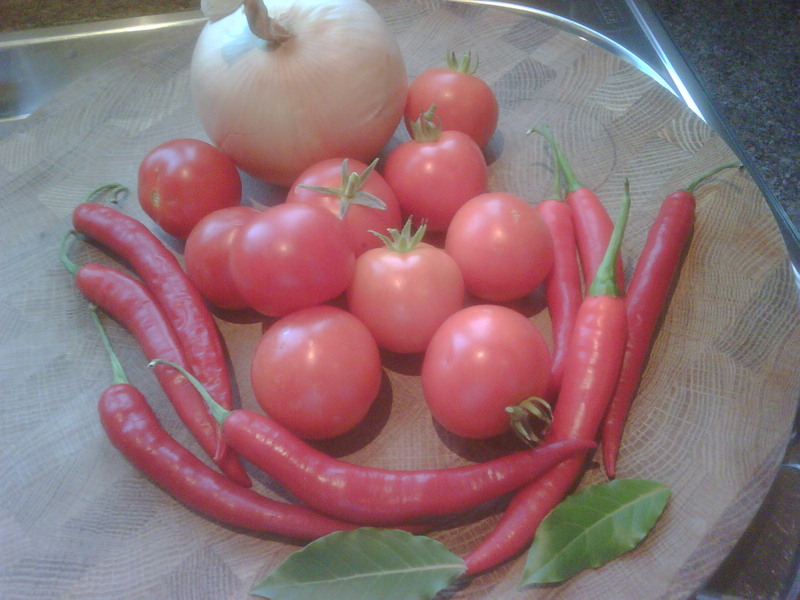 Best to wear gloves and wash you hand with plenty of hot soap and water immediately after working with chillies. You could just wash, deseed and chop the chillies but I think that charring them either over a gas flame or under the grill and skinning them gives a deeper, sweeter flavour. If you decide to char the chillies then prick them all over, otherwise there is a risk that they will explode and burn you. Place them under a grill and char all over. Remove from the grill and tip into a bowl and cover with cling film for 10 minutes. The steam will soften the skins and it will be easier to remove the skins and deseed them. Meanwhile finely chop the onion and add it and the olive oil, bay leaves, cinnamon stick, and pepper to a pan and cook these gently for about 15 minutes – be careful not to burn. 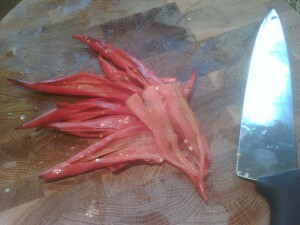 Now remove skins and seeds from the chillies. You want the fleshy part from just under the skin, and it’s great if some of the black rubs off the skins onto the fleshy part as it adds a great flavour. Try not to include the skins themselves as they can be a bit crisp in the final chutney. 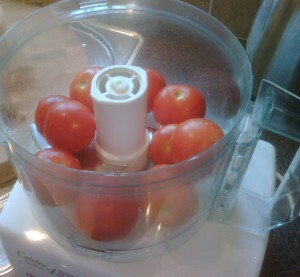 Now put the tomatoes into a magi-mix and pulse until you have a nice pulp, without big pieces of skin. Chop the chillies into fine pieces but not to small as they will give taste and texture. Now add the tomato pulp, sugar, balsamic vinegar and chillies to the onions and bring to the boil. 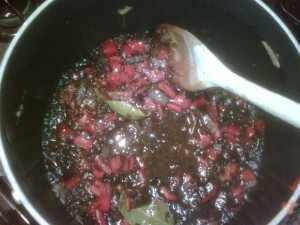 When the mixture reaches a boil turn it down and reduce until you have a nice thick chutney mix. Taste and season with extra salt and pepper to taste. 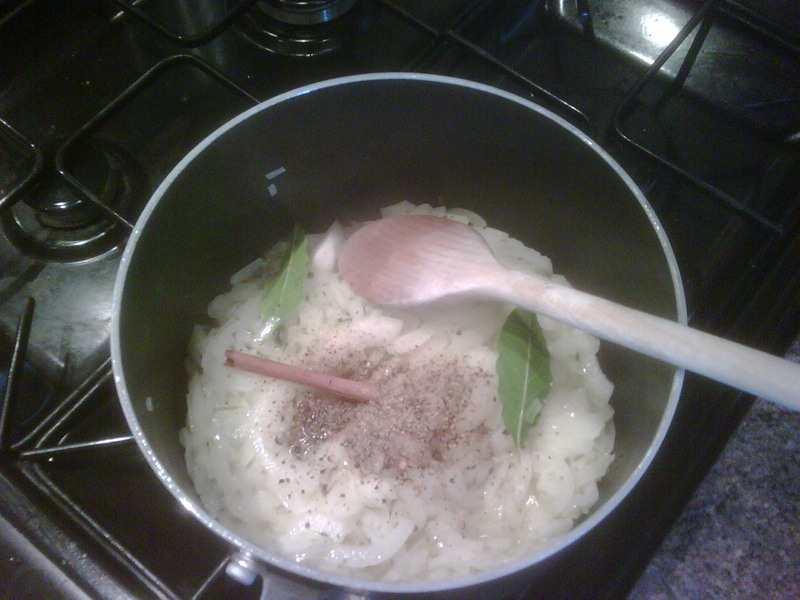 Remove the cinnamon stick and bay leaves. Now carefully spoon the hot mixture into you warm jam jars and immediately screw on the lids. Allow to cool on the counter and label with the date you cooked this. Store in a cool dark cupboard and enjoy within 3 months.